For the Holidays, We Gave to The Gathering Place | Denver Trial Attorney Blog | Leventhal & Puga P.C. The partners, associates, and staff at Leventhal & Puga, P.C., chose to make The Gathering Place our partner in our yuletide celebration of giving for 2018. We want to take this opportunity to say thank you to The Gathering Place for allowing us to be a part of their community and for taking the time to give us a tour of their amazing facility where they provide shelter, a mailing address, daycare, food, clothing, toiletries, medical and dental check-ups, access to governmental resources/programs, and an arts center where they make and sell amazing individual works of art. The Gathering Place was founded in 1986, and is the only daytime drop-in center in metropolitan Denver that serves women and children who are experiencing poverty and homelessness. They believe deeply in the power of their community and continually work to make it stronger. They are not just a service organization; they are committed advocates for their members and promote social justice for every woman, child, and transgender individual in their community. 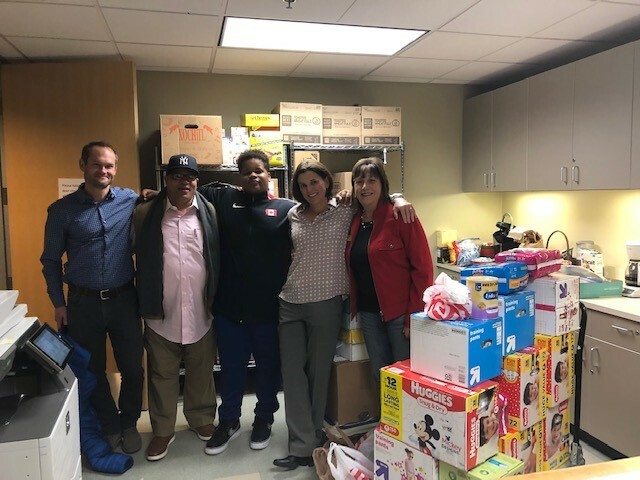 Dropping off donation during out tour: Attorney Nick Temming, Law Clerk James Brown and his son Semaj, Attorney Hollynd Hoskins, and The Gathering Place volunteer Barbara Harrison. We here at Leventhal & Puga, P.C., found their mission to be a noble pillar for the underserved, and we are proud to contribute our support to their efforts. They are a community of safety and hope where positive relationships, choice, and essential resources transform lives. We were able to donate a wide variety of much-needed items such as food, warm clothing, personal hygiene products, diapers, and financial support. This and more helped to provide a brighter holiday for Denver families in need. 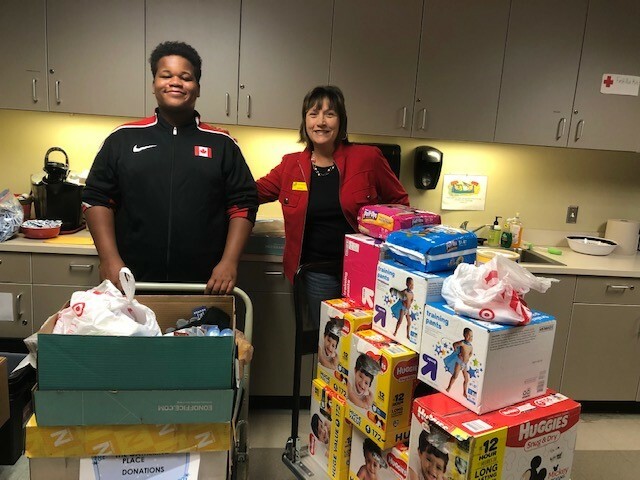 Semaj Brown Wheeling in our donations with Barbara Harrison. The Gathering Place is located at 1535 High Street in Denver, just north of Colfax Avenue on High Street. Call (303) 321-4198 or visit their website to learn more! If My Child Has Cerebral Palsy, Will There Be Other Conditions? How Does a Medical Device Wind Up in Your Body?